Drool. 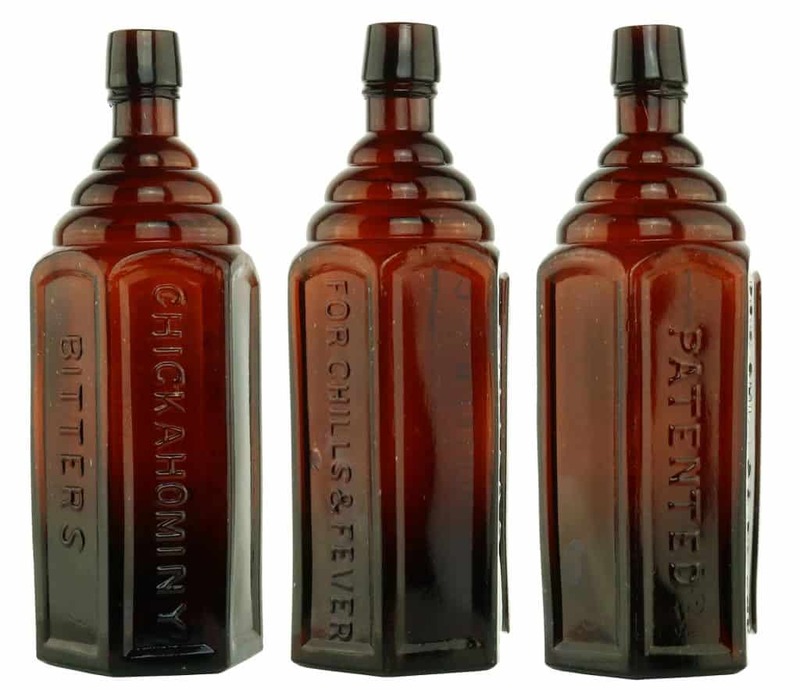 National Bitters C.C. Jerome & Co. Detroit, A.C.-S.W. 1865 in rich amethyst from the Sandor P. Fuss collection. Unique, in spectacular condition and a coffin shape form. Working on thirty-six (36) rotational photos by Alan DeMaison taken by Alan when we both were in Denver recently doing 3-D imaging for the FOHBC Virtual Museum project. 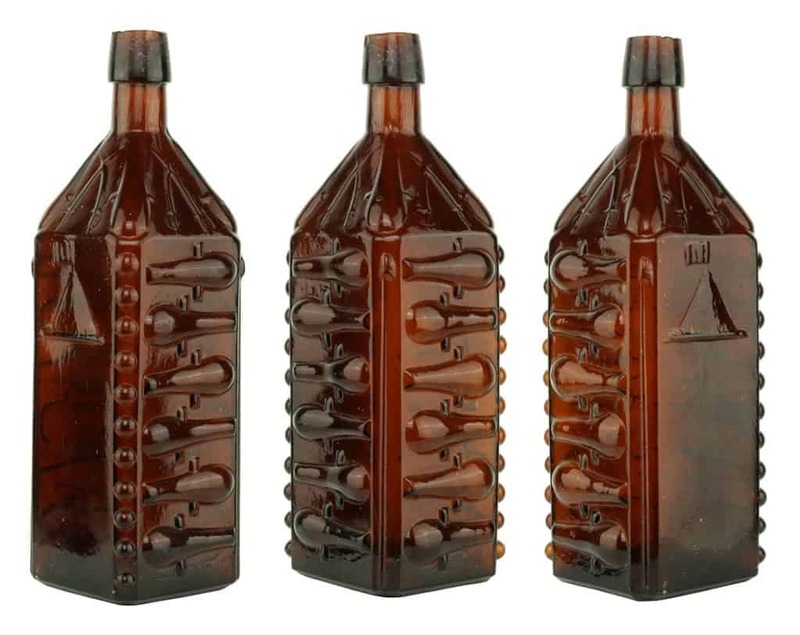 The bitters gallery is planned to open first, followed by historical flasks. 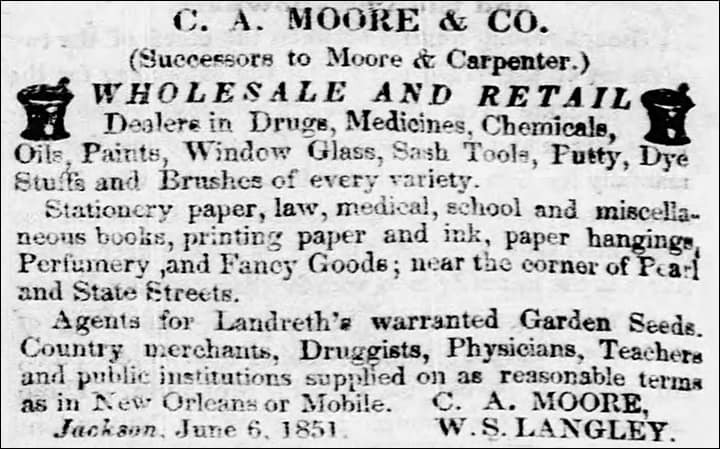 Reference to an unlisted Galvanic Bitters in The Weekly Mississippian, Friday, October 10, 1851. Reference to electrical current I suppose. Can not find much more information. This was a Jackson, Mississippi paper. C.A. 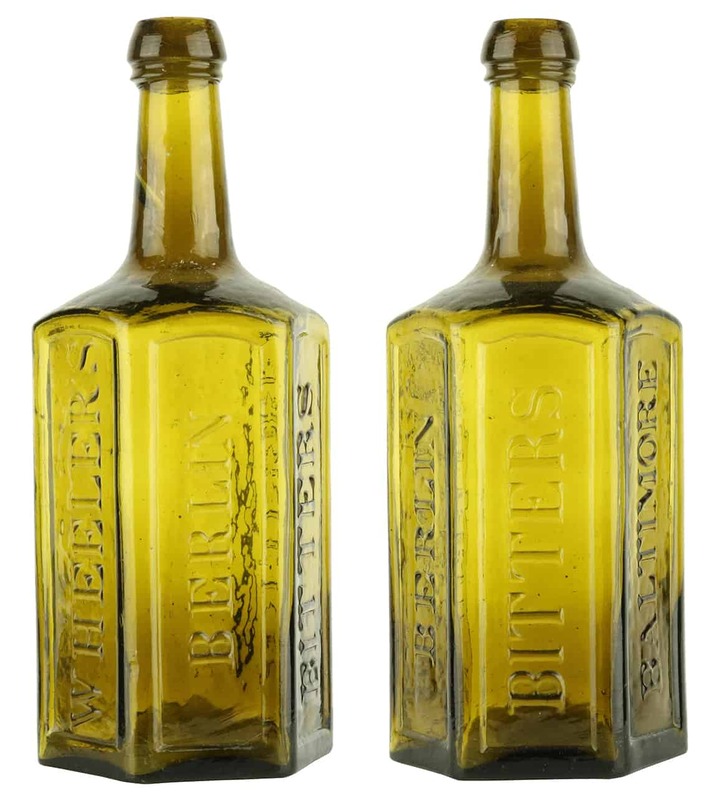 Moore represented the bitters. 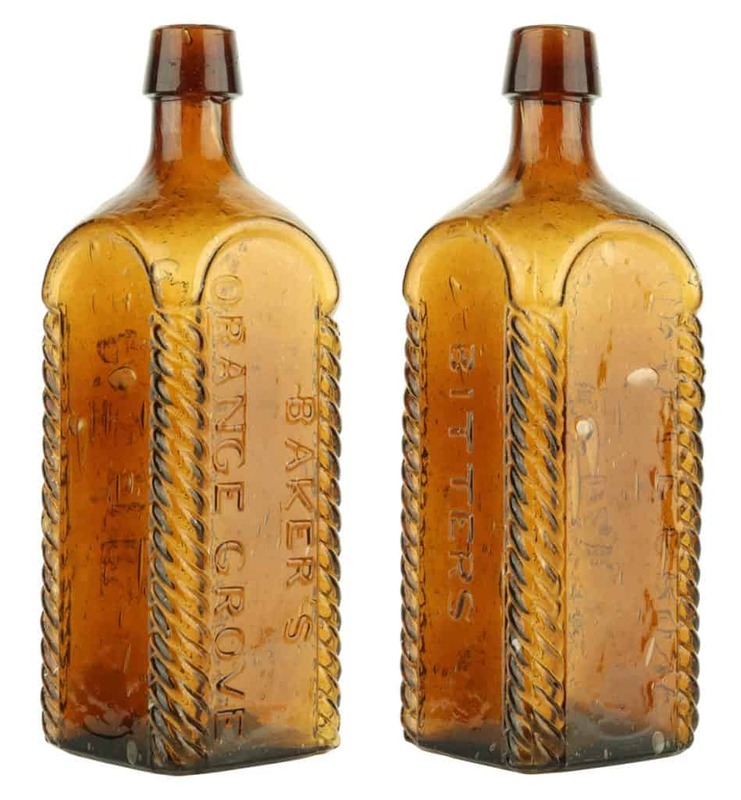 Barto’s Great Gun Bitters, Reading, PA. in a beautiful shaded apricot coloration from the Sandor P. Fuss collection. 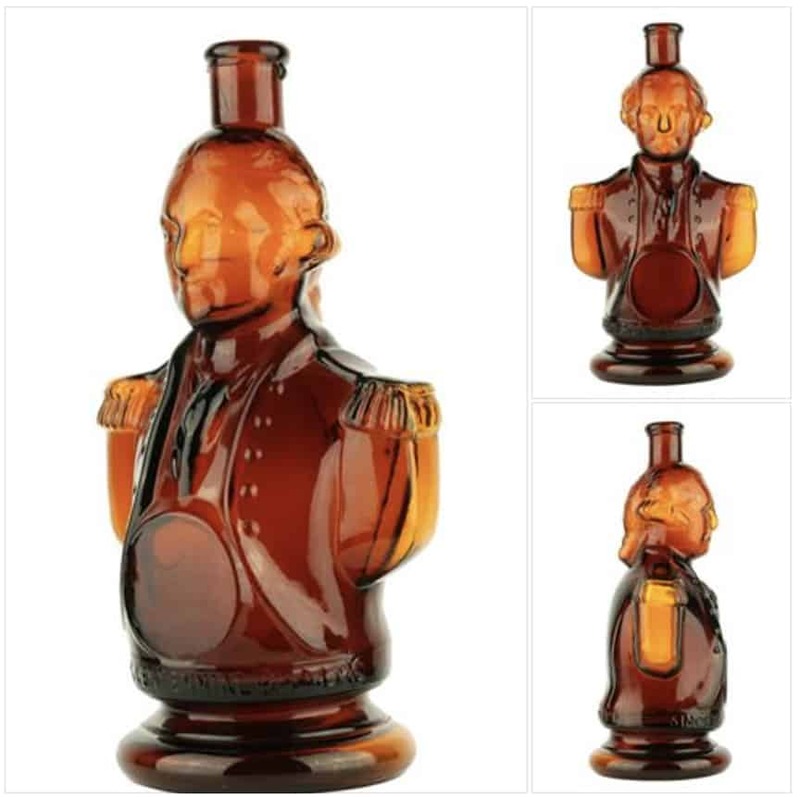 In spectacular condition and a unique form and color for this bitters bottle. Working on thirty-six (36) rotational photos by Alan DeMaison taken by Alan when we both were in Denver recently doing 3-D imaging for the FOHBC Virtual Museum project. 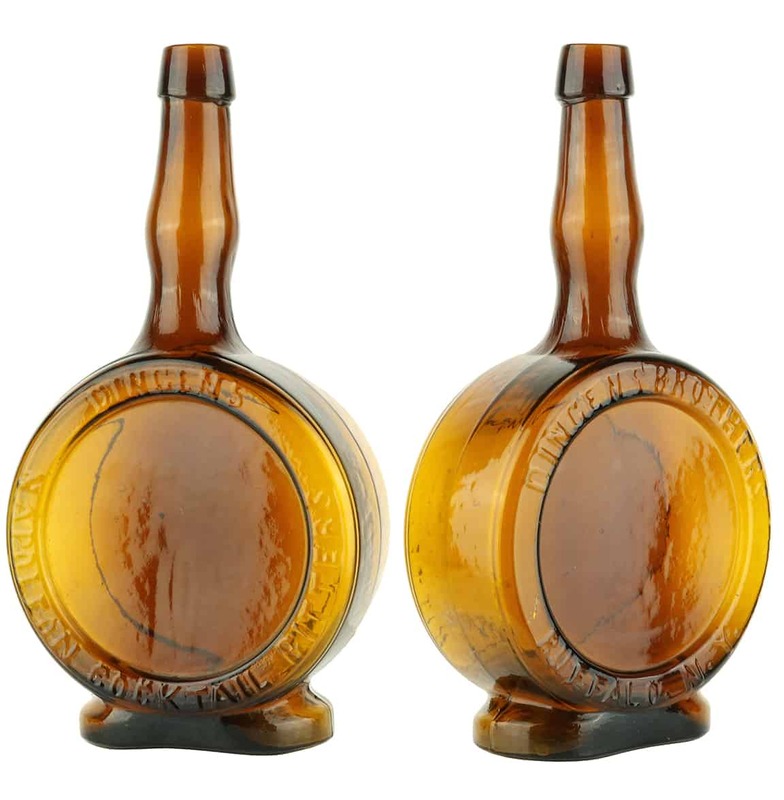 The bitters gallery is planned to open first, followed by historical flasks. 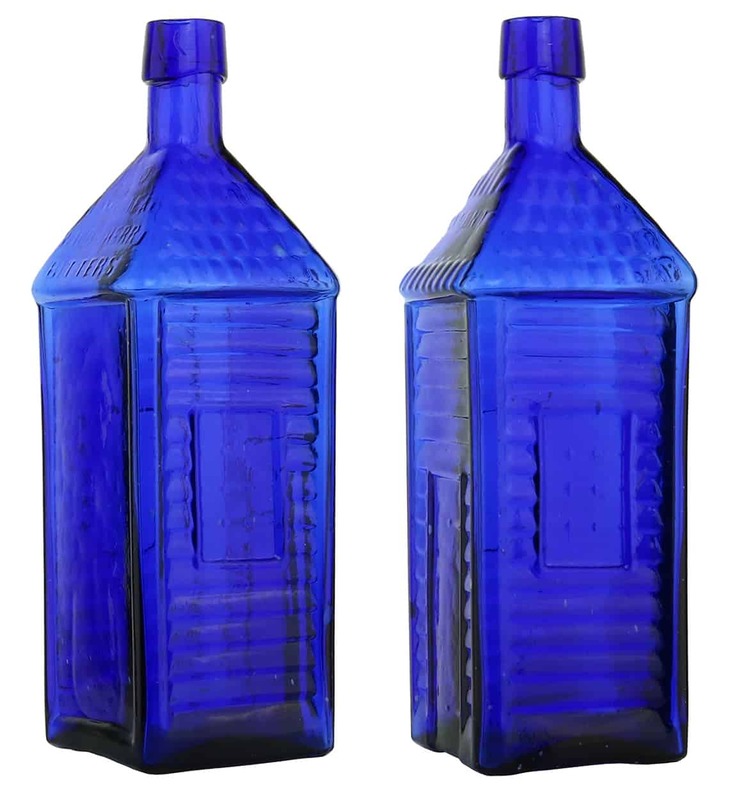 The incredible Old Homestead Wild Cherry Bitters in cobalt blue from the Sandor P. Fuss collection. Only example known in this color. Working on thirty-six (36) rotational photos by Alan DeMaison taken by Alan when we both were in Denver recently doing 3-D imaging for the FOHBC Virtual Museum project. 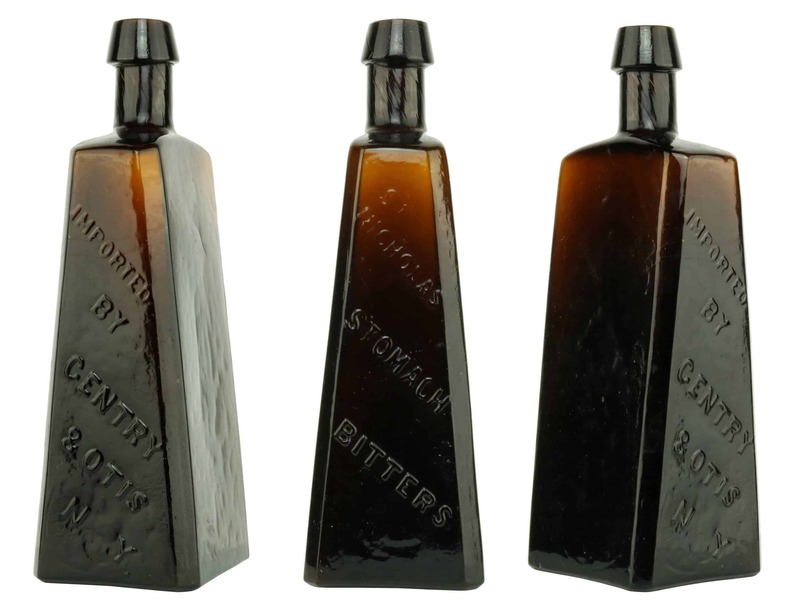 The bitters gallery is planned to open first, followed by historical flasks. 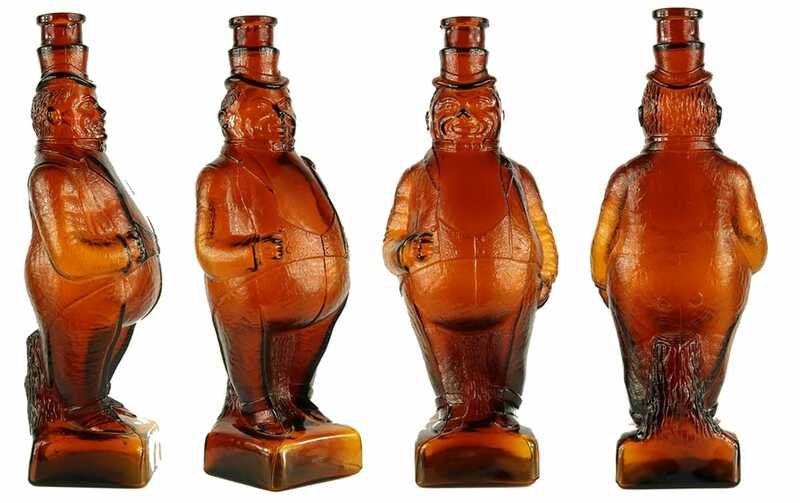 A remarkable Plow’s Sherry Bitters (figural grapes) in some super amber color variation. Working on thirty-six (36) rotational photos taken by Alan DeMaison when we both worked in Houston recently doing 3-D imaging for the FOHBC Virtual Museum project. 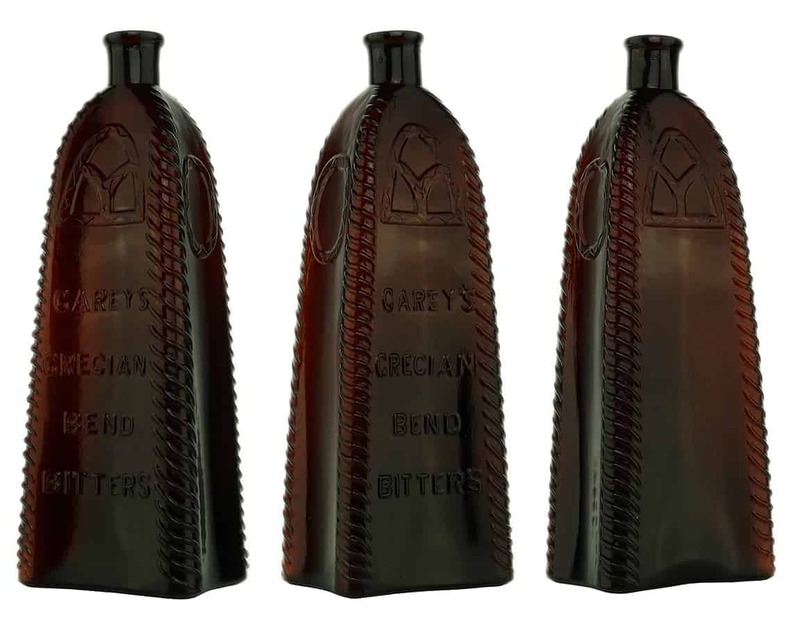 The bitters gallery is planned to open first, followed by historical flasks. 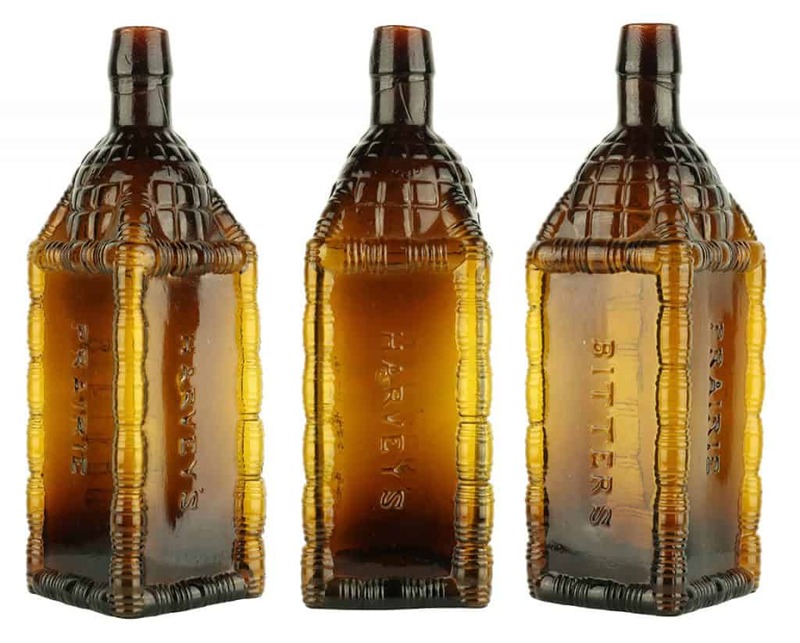 The really cool Ta Tsing Bitters (aka The Chinaman) from Clarksburg, West Virginia. Working on thirty-six (36) rotational photos by Alan DeMaison taken by Alan when we both worked in Houston recently doing 3-D imaging for the FOHBC Virtual Museum project. 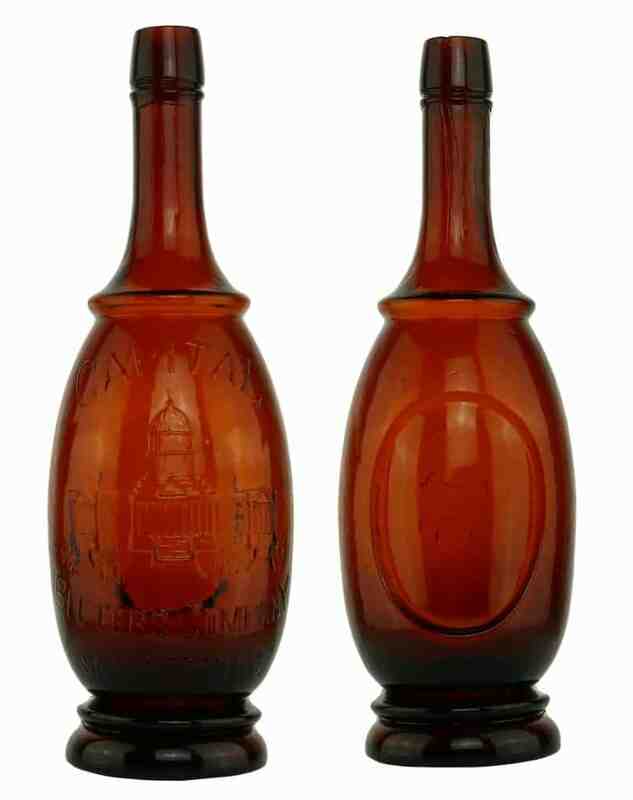 The bitters gallery is planned to open first, followed by historical flasks. 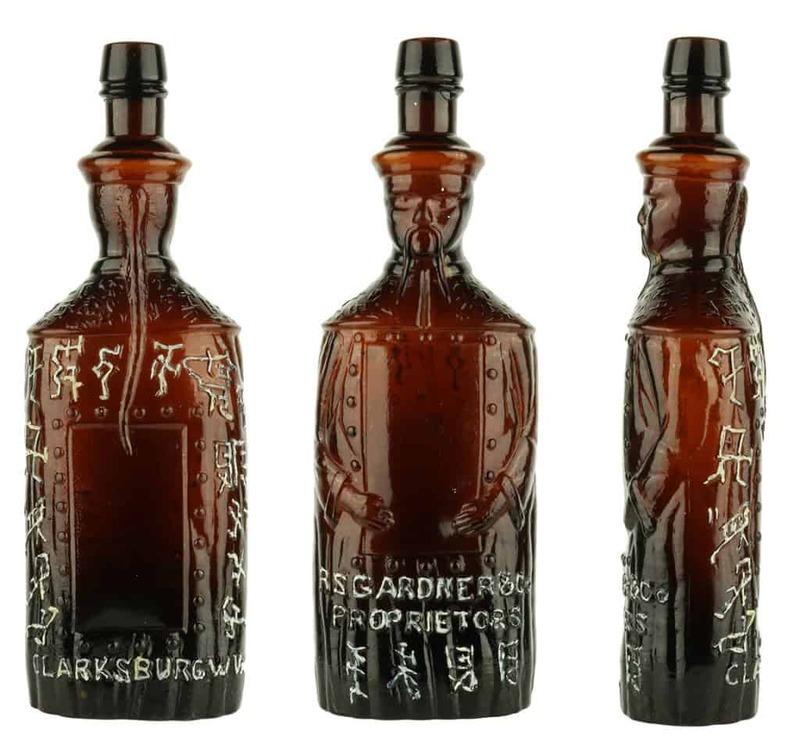 Read more about the The Great Chinese Remedy. 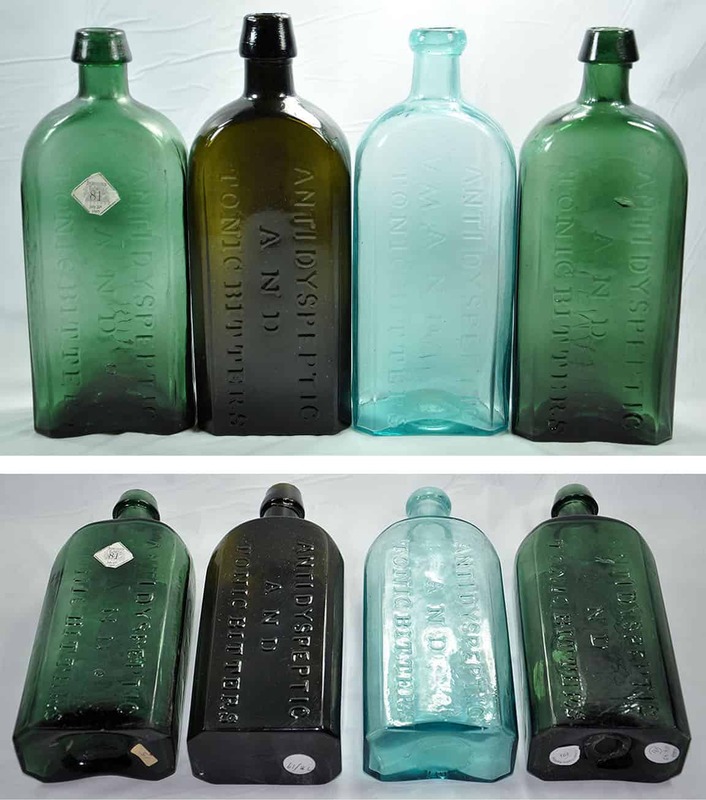 New photos of the Hutchinson’s Tonic Bitters. #85 is just the colored ones with strong backlight. From left to right, yellow amber from recent AGG auction #18, amber, olive amber from AGG auction #13, pure olive green. #119 is the whole bunch. 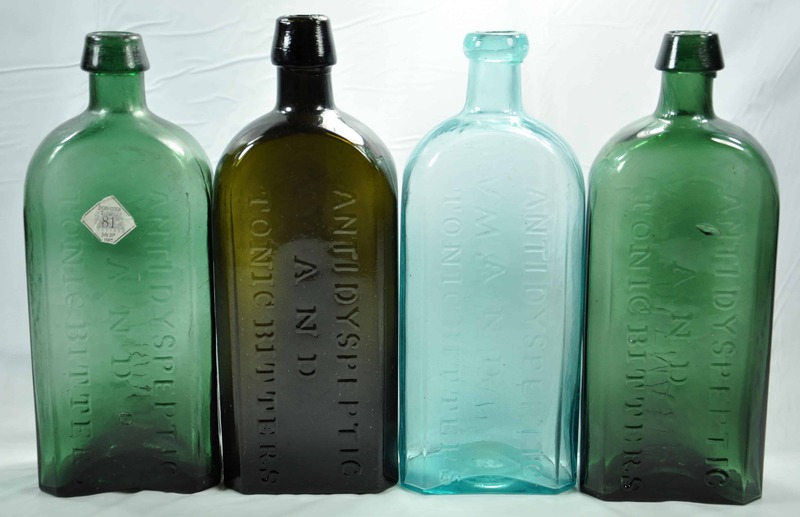 Same colored ones flanked by a smooth base aqua on the left and an iron pontiled aqua one on the right. 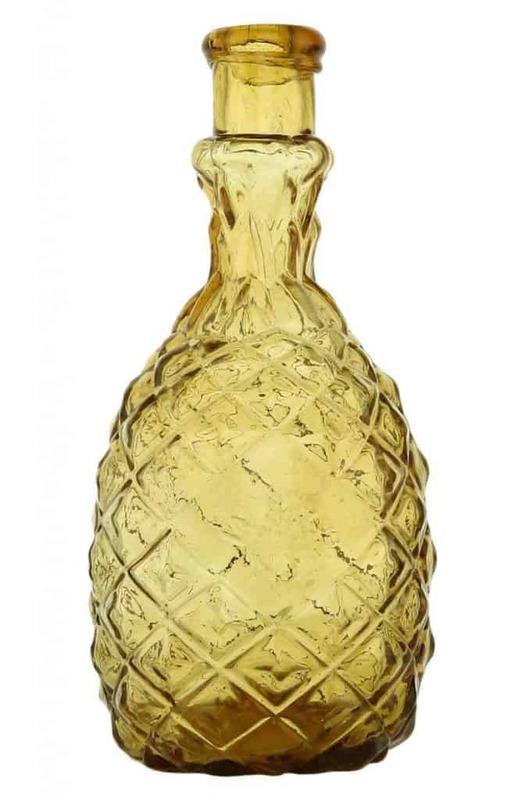 Here is the story to go along with the yellow amber one. 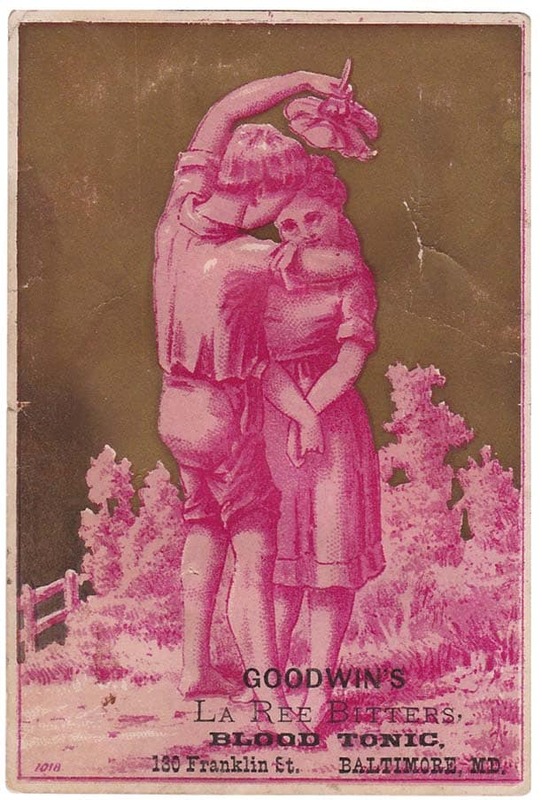 I have a bottle book from 1971 titled “1250 Bitters Bottles” by Ed Bartholomew. 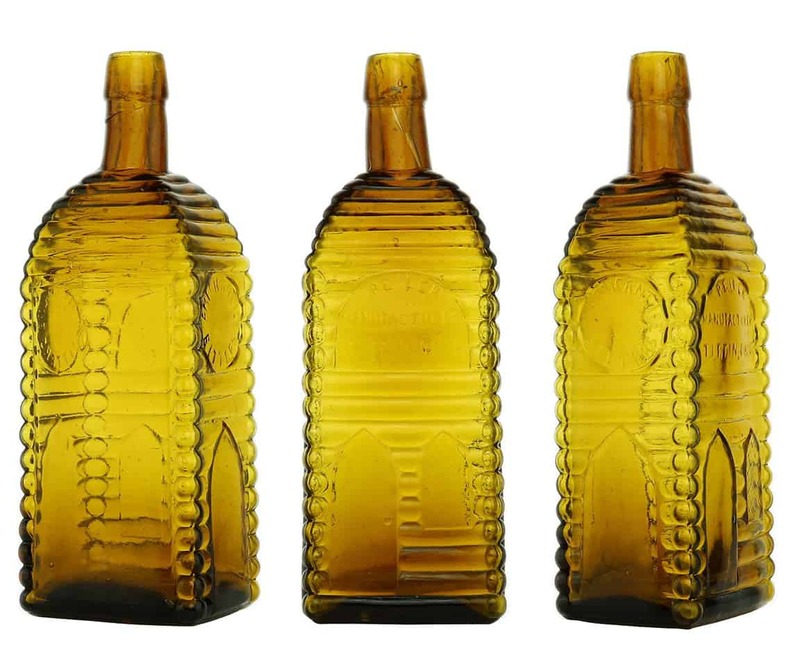 I am 99% certain that the yellow amber Tonic Bitters is the one pictured on page 182 as part of the author’s collection. 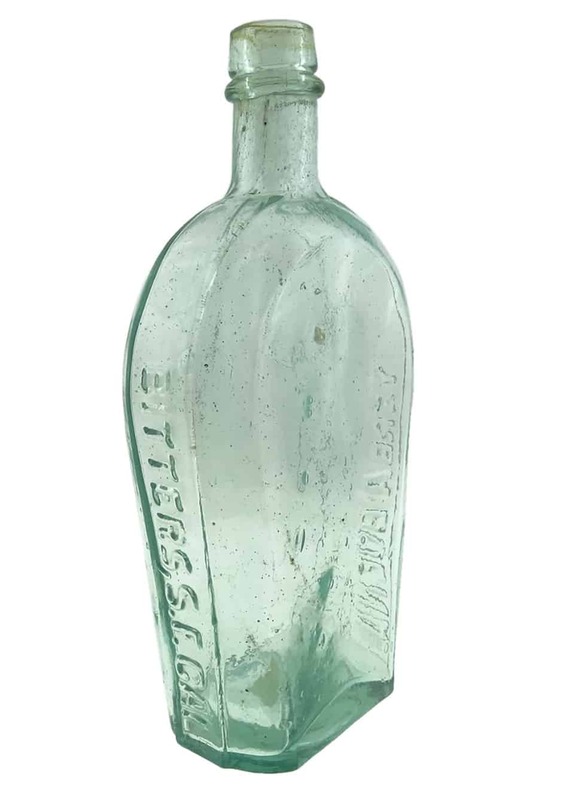 It was a dug bottle, and in a black and white photo, but the top is unmistakable, since the “colored” ones almost always have a long tapered collar with no ring underneath. 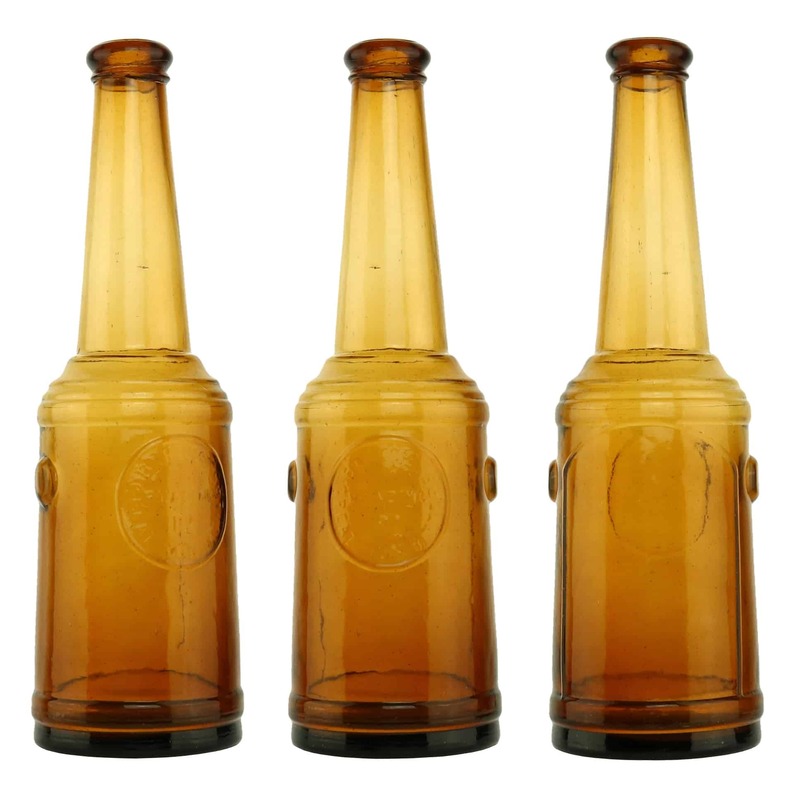 The only other colored example with a non-standard top has one of the bottom corners of the bottle missing. Also, the photo in the book shows a ring of glass under the lip that has a distinct up and down pattern to it visible on the “J.W. Hutchinson” panel. 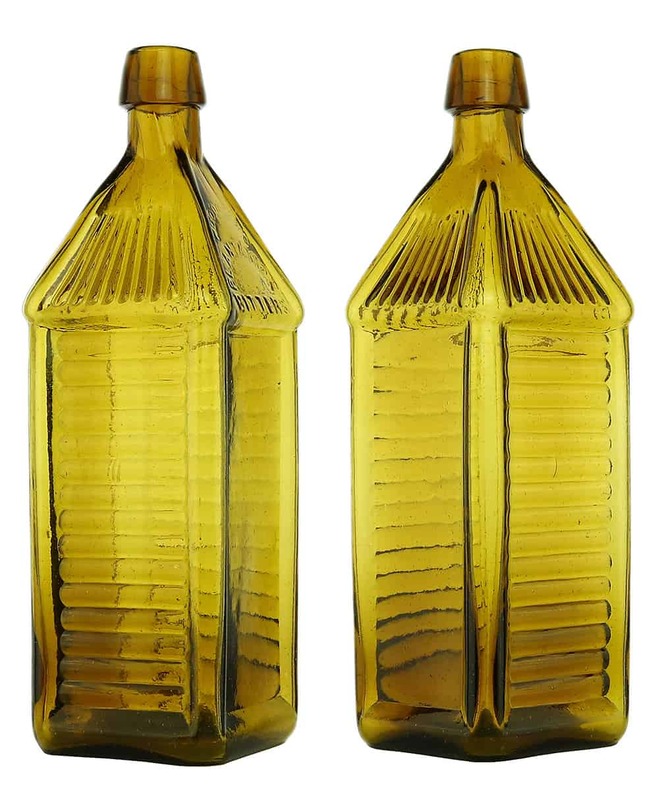 This is how I know this is the same bottle from the 1971 book. I found and called Ed Bartholomew about 15 years ago. 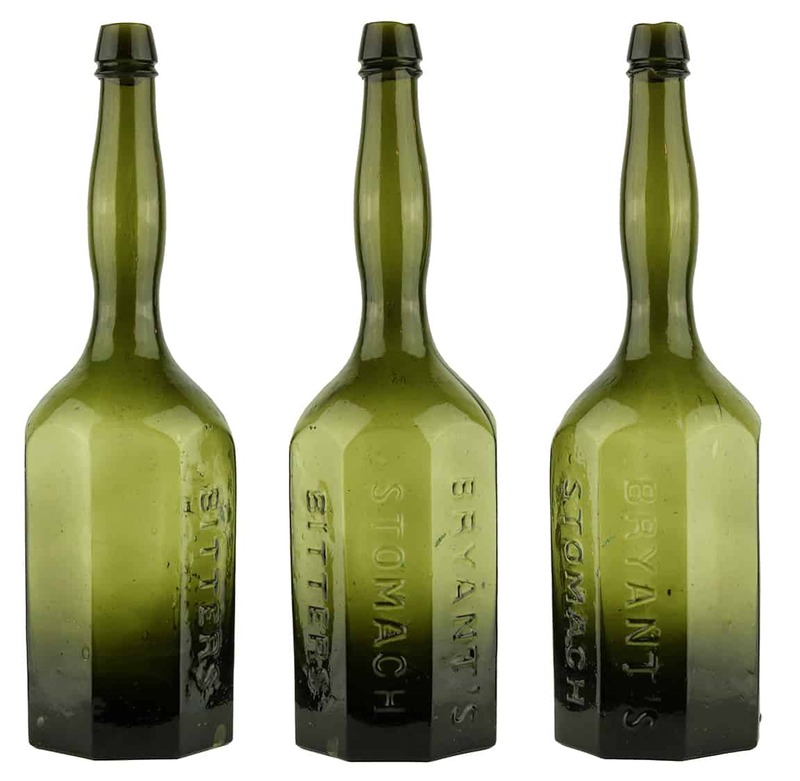 He was an elderly man, and he no longer remembered much or seemed to care what happened to his bottles. He had no idea where or when he sold the Hutchinson Tonic Bitters. That was the end of the search until I saw the auction photo. I immediately dug out the old book to verify my hunch. Just another of one of those that I “had” to have. 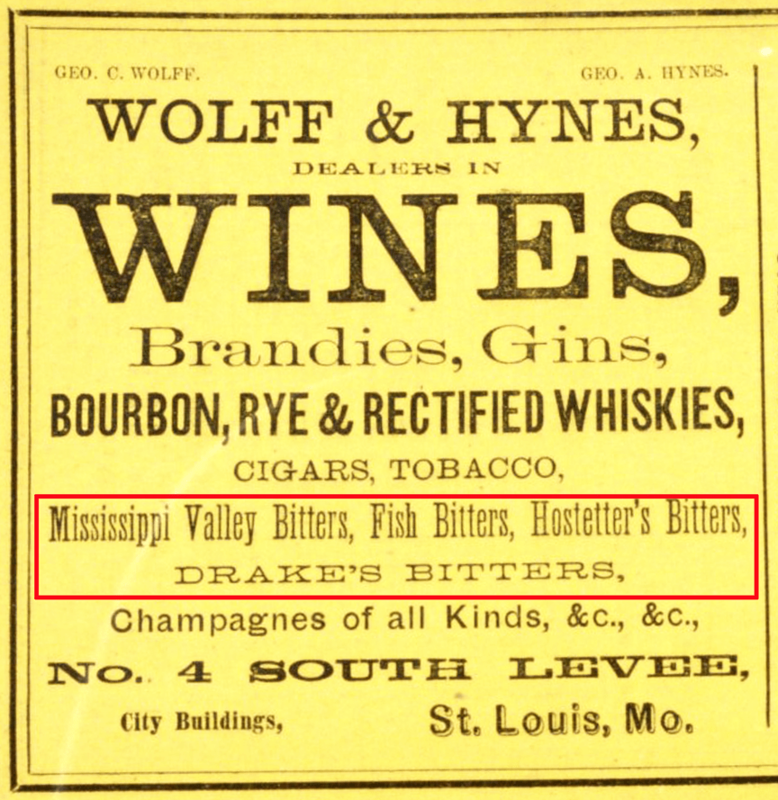 Looks to be another unlisted bitters called Mississippi Valley Bitters. Will research this later today I hope. Put out by a guy named Hardaway in Mississippi. Read New Post. 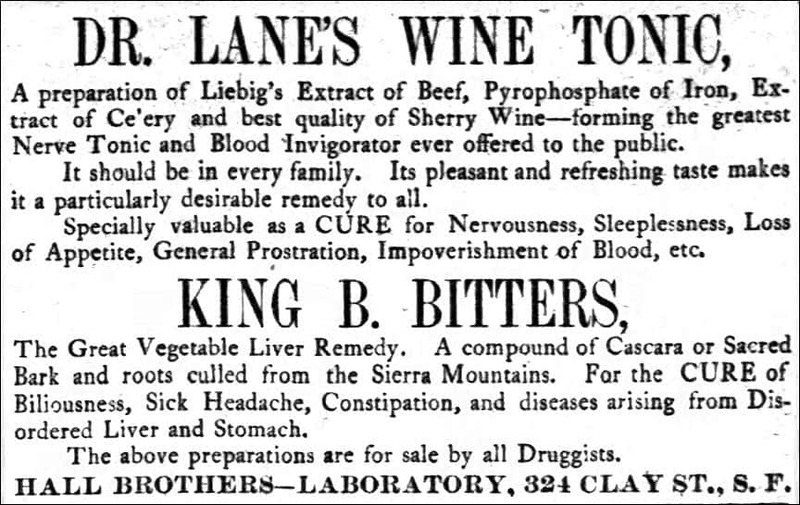 Looks to be an advertisement for an unlisted bitters. 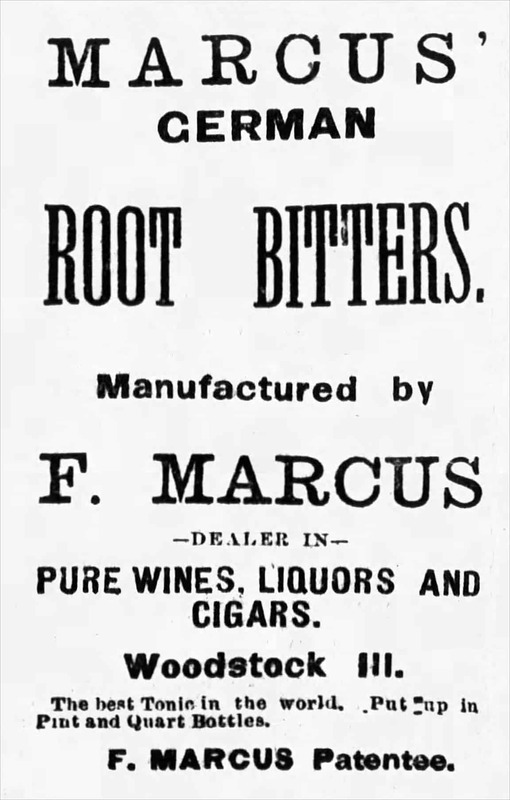 Marcus German Root Bitters, The McHenry Plaindealer, Wed,Nov. 30, 1881. Not the same as Dr. Marcus’ Universal Bitters from Philadelphia. A lady’s leg figural Bryant’s Stomach Bitters. Working on thirty-six (36) rotational photos by Alan DeMaison taken by Alan when we both worked in Houston recently doing 3-D imaging for the FOHBC Virtual Museum project. 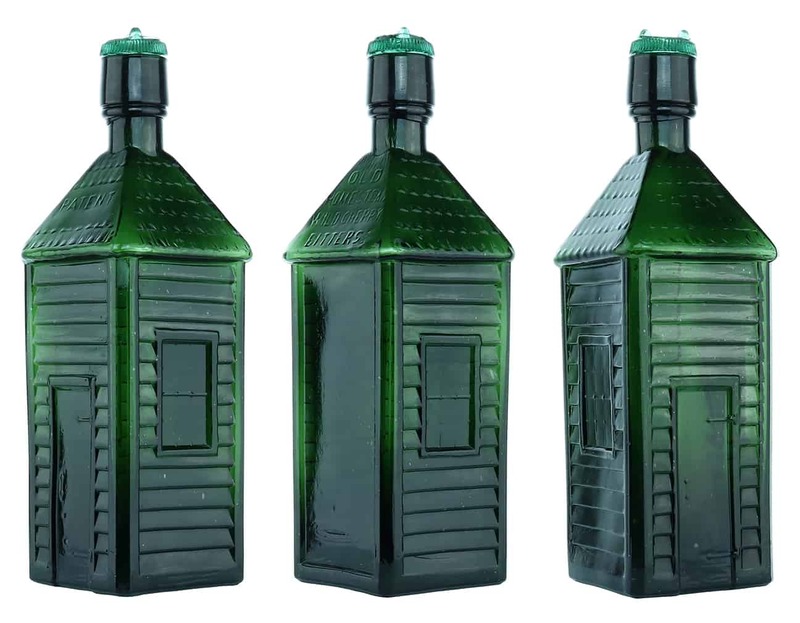 The bitters gallery is planned to open first, followed by historical flasks. 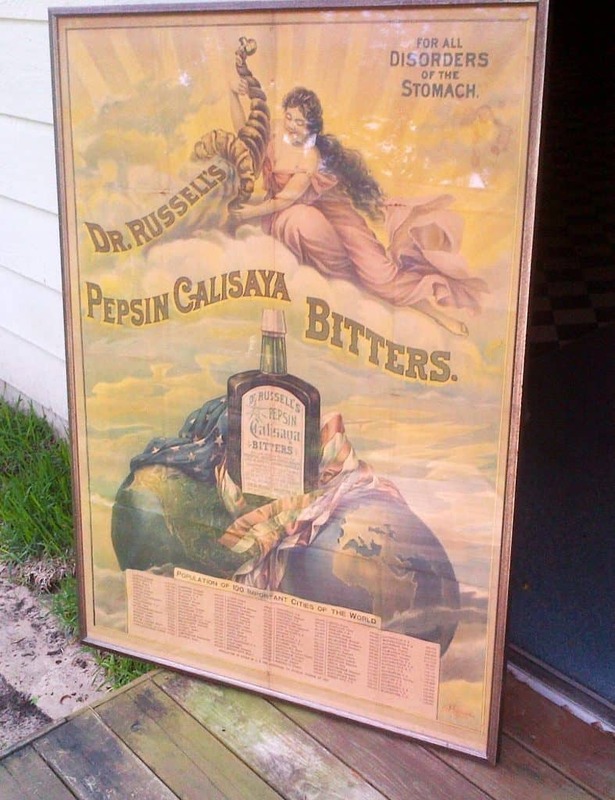 Read more about the Bryant’s product. 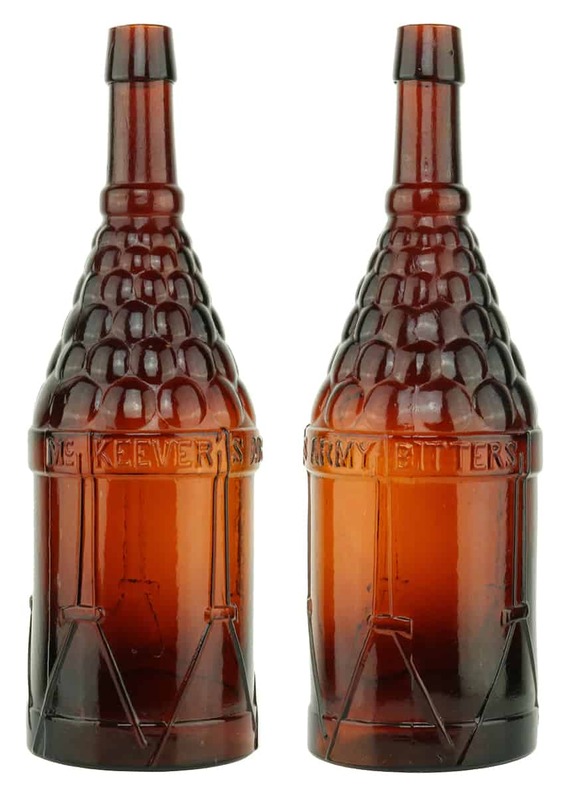 With embossed cannons, cannon balls, crossed swords and a fort & flag, one of my favorite bitters, C 33 “CANNON’S DYSPEPTIC BITTERS”, Circa 1853 – 1880, Cannon’s Non-Alcoholic Bitters, The Great Dyspepsia Remedy, W. M. Cannon & Co., 925 LA. Ave. N.W. Washington D.C. 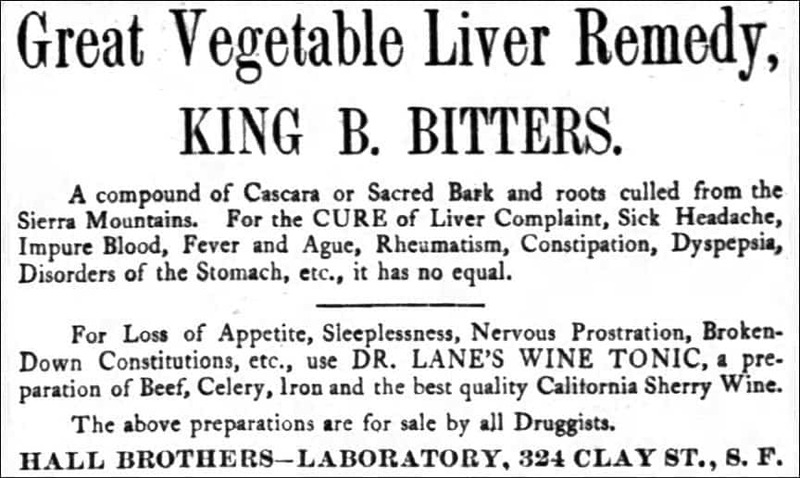 Prepared only by the W. M. Cannon, Proprietary Medicine Company. Working on thirty-six (36) rotational photos by Alan DeMaison taken by Alan when we both worked in Houston recently doing 3-D imaging for the FOHBC Virtual Museum project. The bitters gallery is planned to open first, followed by historical flasks. 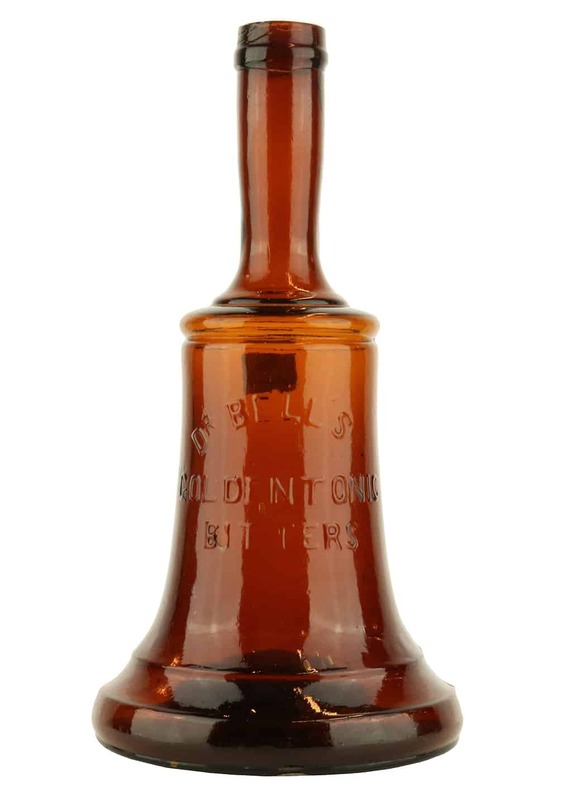 Dr. Bell’s Golden Tonic Bitters in great condition and a unique form for a bitters bottle. Ex Greer and Ham. Working on thirty-six (36) rotational photos by Alan DeMaison taken by Alan when we both worked in Houston recently doing 3-D imaging for the FOHBC Virtual Museum project. 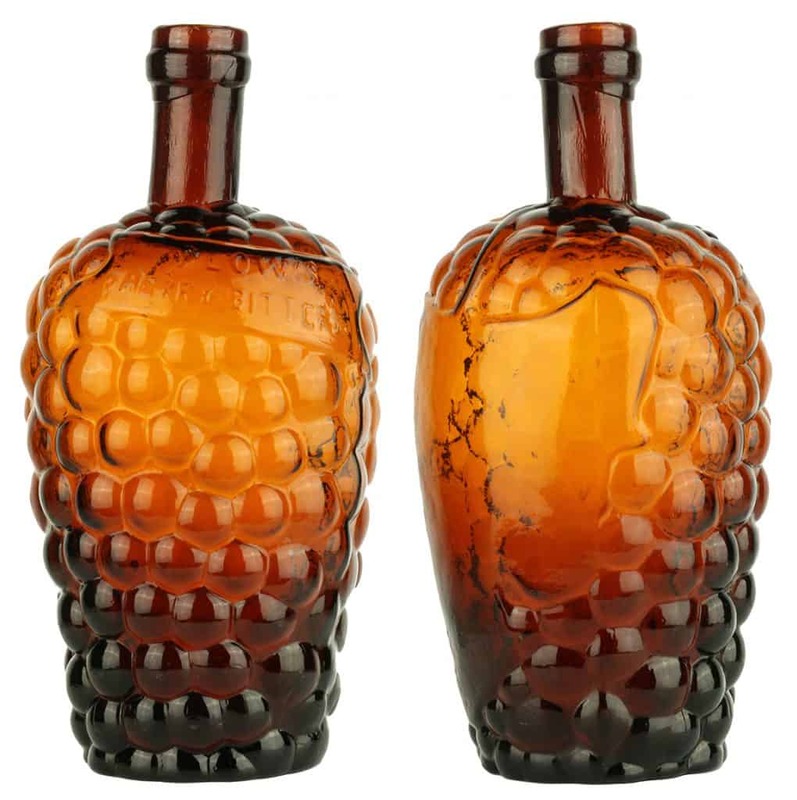 The bitters gallery is planned to open first, followed by historical flasks. 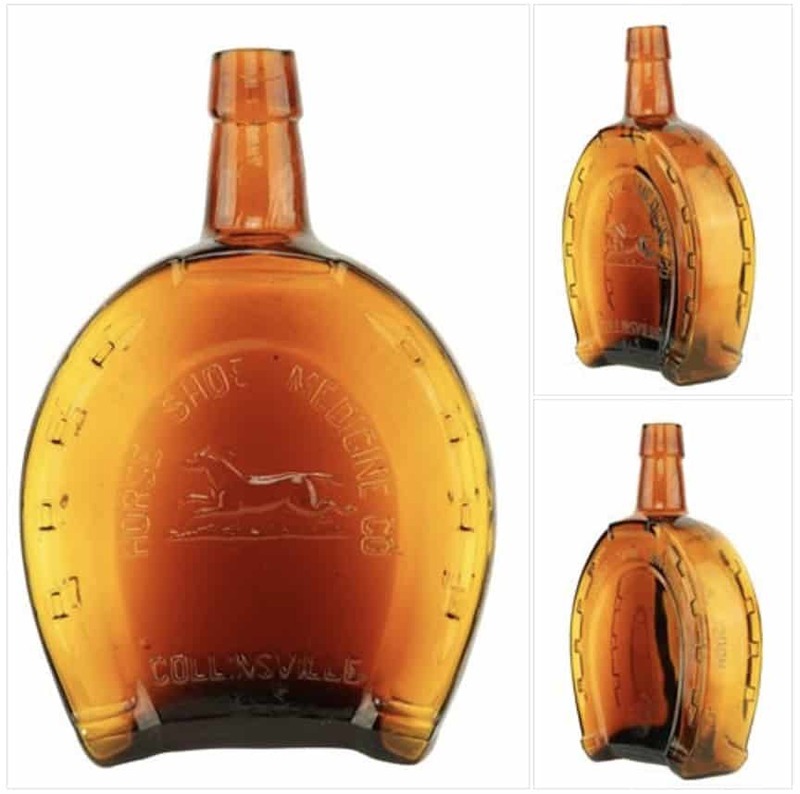 Let’s close out the month with the spectacular Capital Bitters. 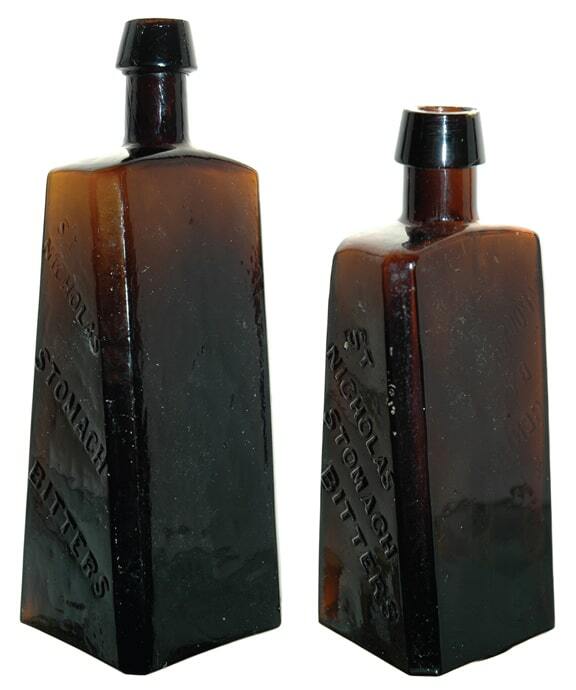 Embossed “Capital Bitters Company, Washington, D.C.” in a dark amber from the Sandor P. Fuss collection. 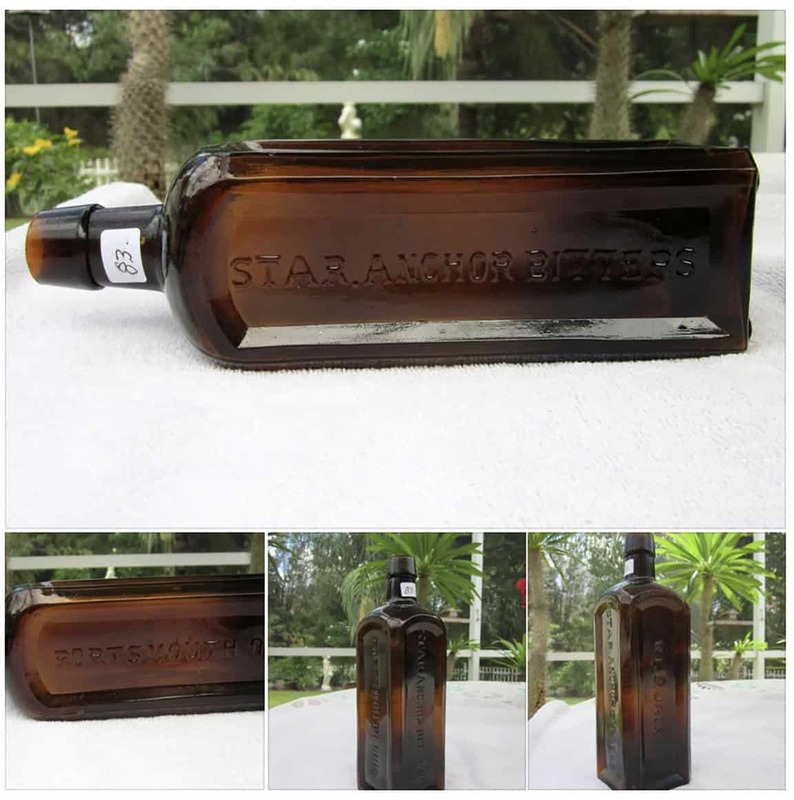 In super condition and a unique form for a bitters bottle. Working on thirty-six (36) rotational photos by Alan DeMaison taken by Alan when we both were in Denver recently doing 3-D imaging for the FOHBC Virtual Museum project. 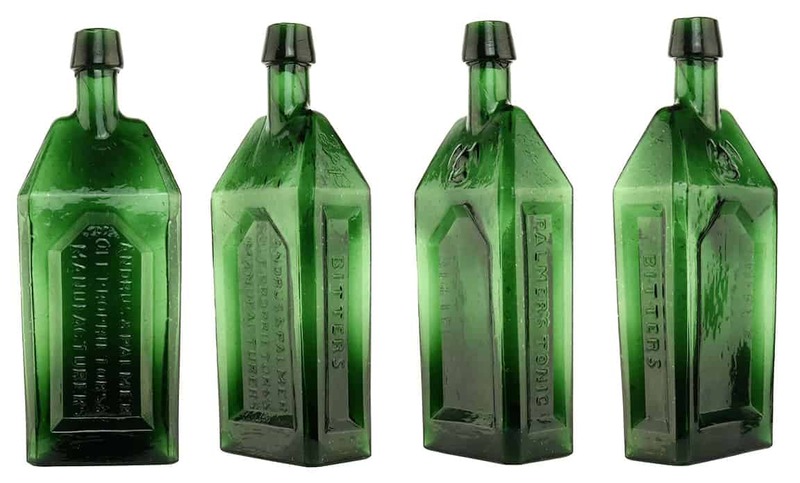 The bitters gallery is planned to open first, followed by historical flasks. 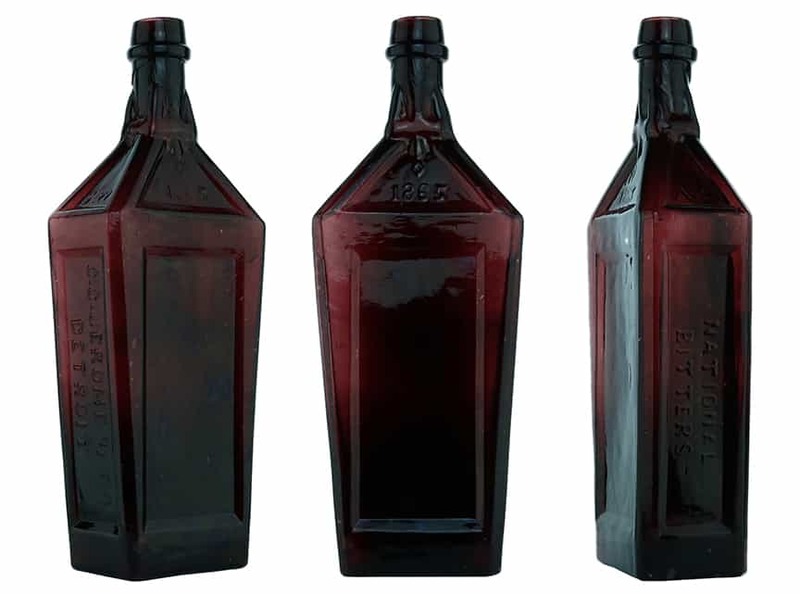 Extraordinary Chickahominy Bitters in a dark puce from the Sandor P. Fuss collection. One of two examples that I am aware of, this being in spectacular condition. Working on thirty-six (36) rotational photos by Alan DeMaison taken by Alan when we both were in Denver a few weeks ago doing 3-D imaging for the FOHBC Virtual Museum project. 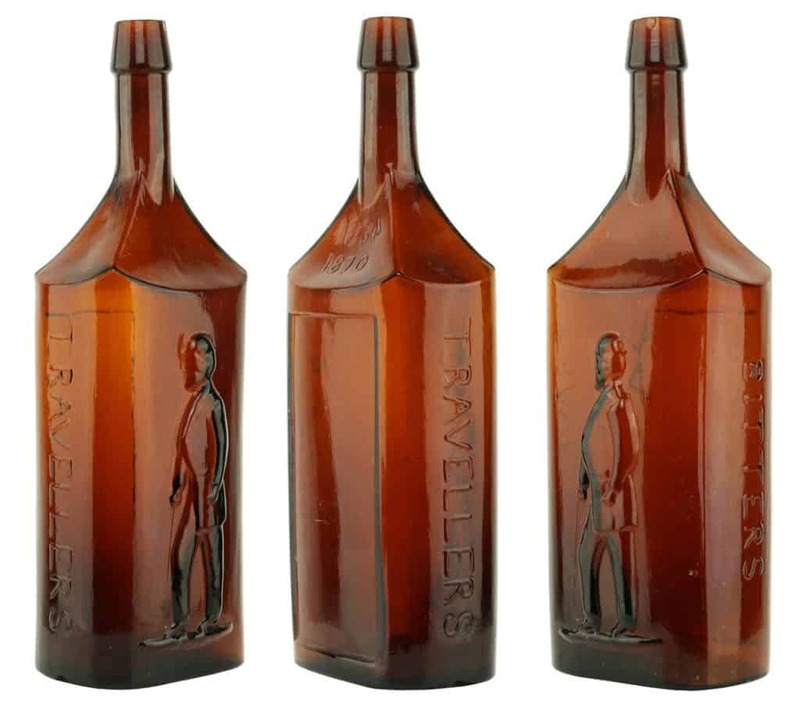 The bitters gallery is planned to open first, followed by historical flasks. 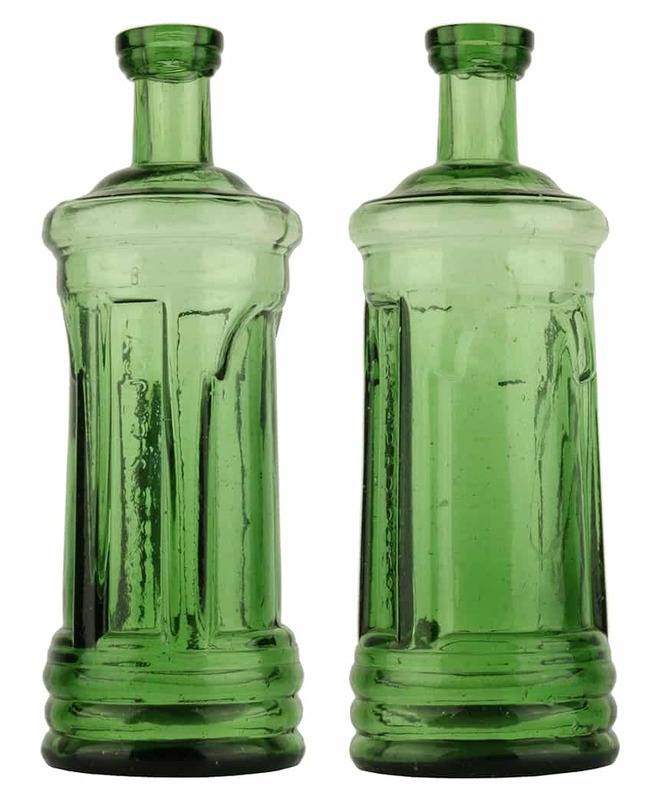 Super nice and extremely rare Andrus & Palmer Sole Proprietors & Manufactures – Palmer’s Tonic Bitters in emerald green from the Sandor P. Fuss collection. One of three examples that I am aware of, this being in spectacular condition. Working on thirty-six (36) rotational photos by Alan DeMaison taken by Alan when we both were in Denver a few weeks ago doing 3-D imaging for the FOHBC Virtual Museum project. Zee famous blue fish bitters. Working on some image shadow clean-up. Thirty-six (36) rotational photos by Alan DeMaison when he was in Denver a few weeks ago doing 3-D imaging for the FOHBC Virtual Museum. Example from the Sandor P. Fuss collection. 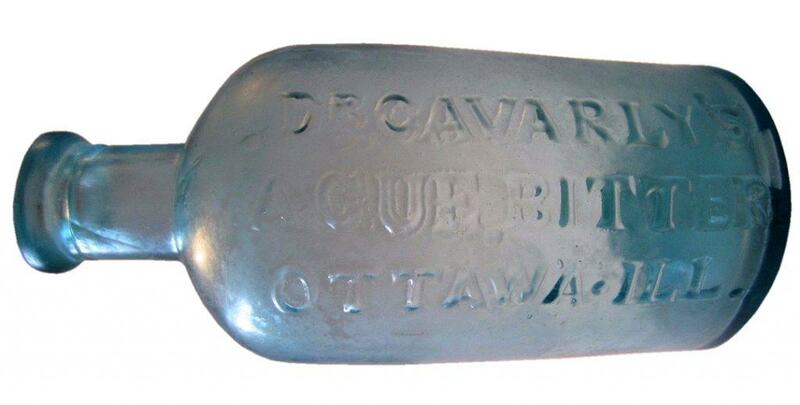 Just Luvs this extremely rare Dr. Calvary’s Ague Bitters from Ottawa, Illinois currently on eBay. Look at that small “s” they squeezed in for “Bitters”. Thanks to Bill Ham for the tip-off. Help Please: I am trying to find a bottle for a person that says, “Catawba Wine” on it. Does not have to say Bitters. If you have one call or email Gary Beatty 941.276.1546 or tropicalbreezes@verizon.net. 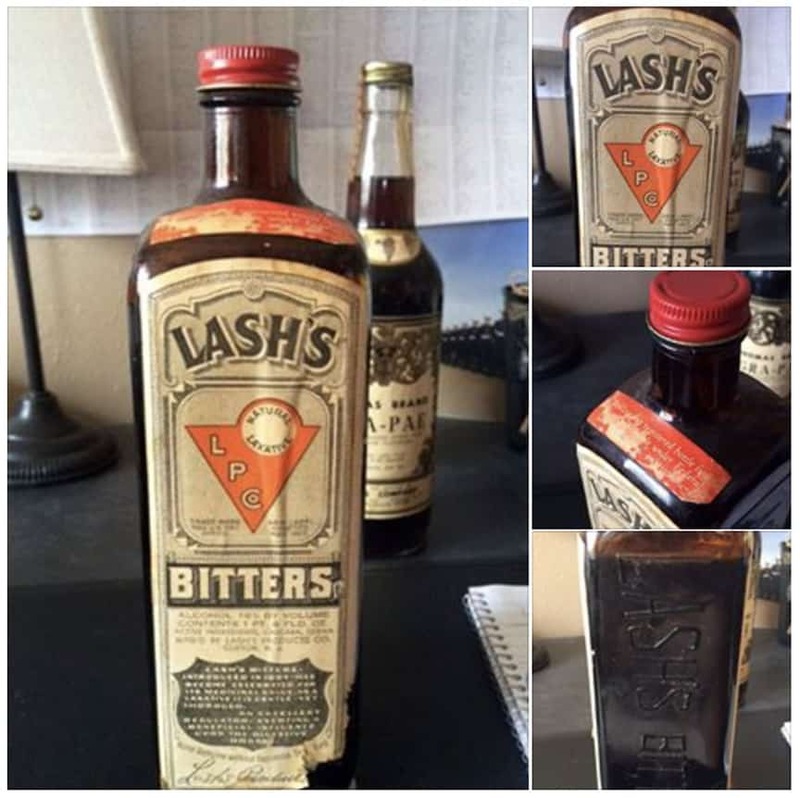 Received these Lash’s Bitters images (fully labeled and with original contents) from a fellow up north. Found them when cleaning out an estate. Was wondering about rarity and value. Said the Smithsonian’s Natural Museum of American History had an example on their web site. Anyway, I told him it was a very late 1920s bottle that was more interesting than valuable. He was going to have his lab analyze the contents. 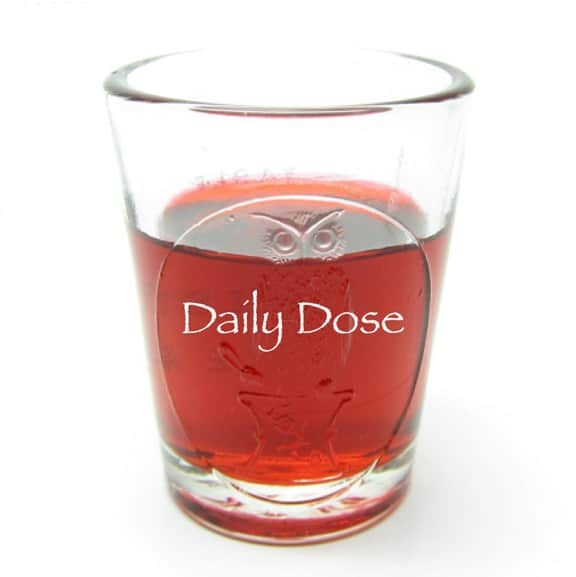 Usually alcohol 18% (drug active ingredients). 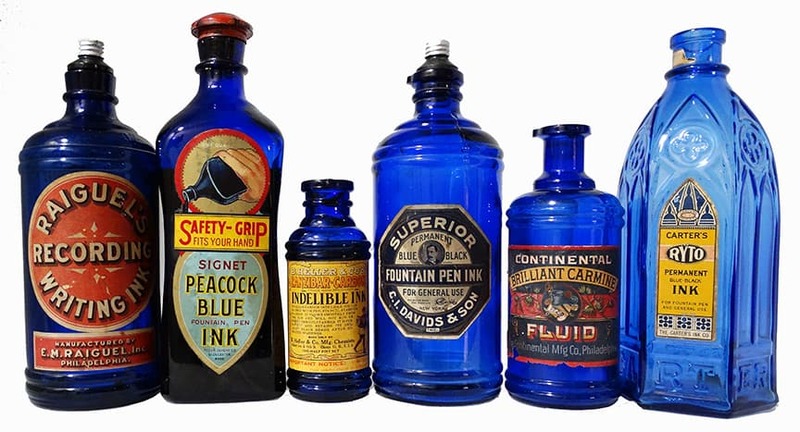 Ferd – I just had someone send me a bunch of bottles and in them were these master inks. I guess they spent a lot of time making their product as visually inviting as possible. The Carter’s cathedral shaped inks we all see and collect is a good indicator of that. Anyway, I thought I would send you a picture as it dawned on me that the idea of collecting labeled master inks isn’t the worst thing a person could go after. 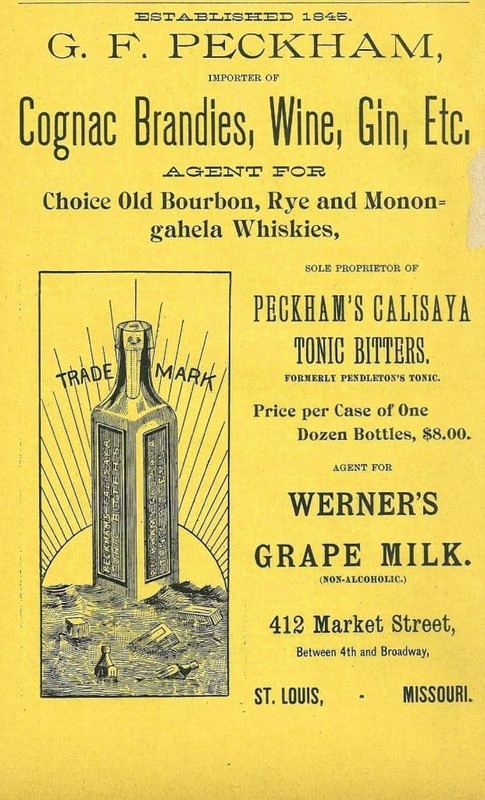 Cool ad posted by Lou Holis for Peckham’s Calisaya Tonic Bitters (formally Pendleton’s Tonic). 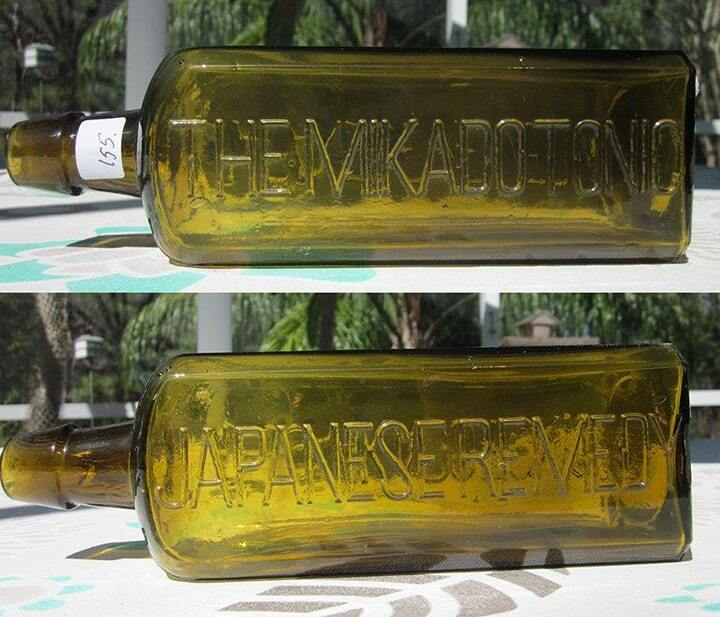 I don’t believe there is a surviving bottle out there? 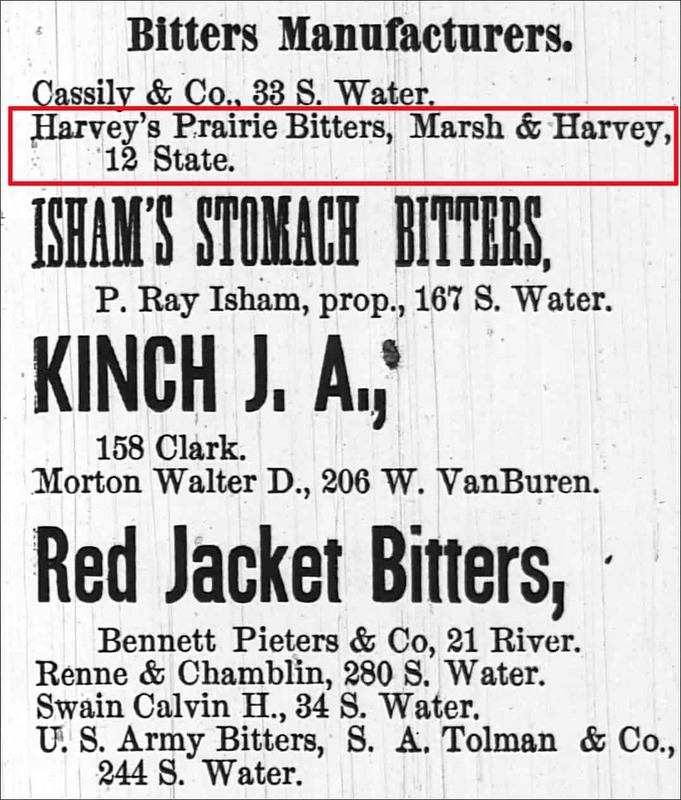 Looks to be reference to an unlisted “King B Bitters” put out by the Hall Brothers in San Francisco. Certainly am aware of those guys. 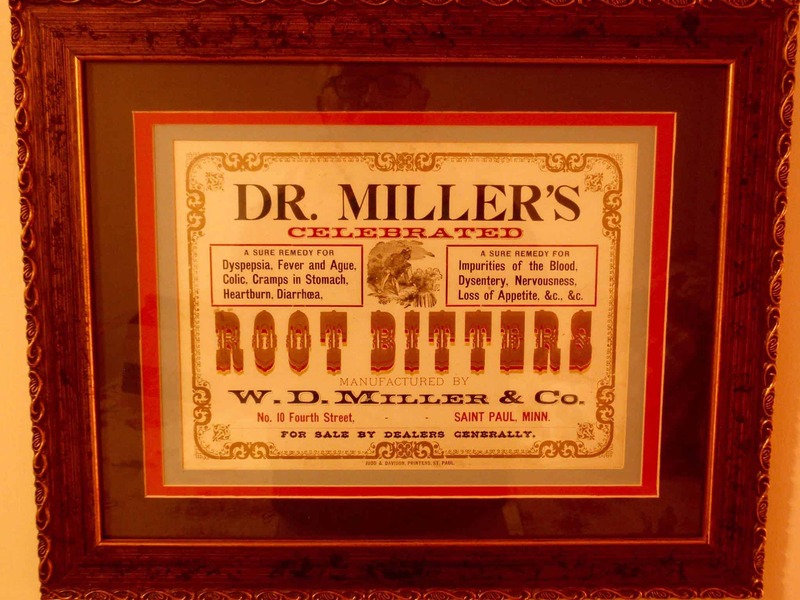 Love this framed advertising piece for Dr. Miller’s Celebrated Root Bitters. W. D. Miller, Saint Paul, Minn. Posted by Steve Ketcham. Today a very nice Dr. Gregory’s Scotch Bitters advertising trade card submitted by Joe Gourd. 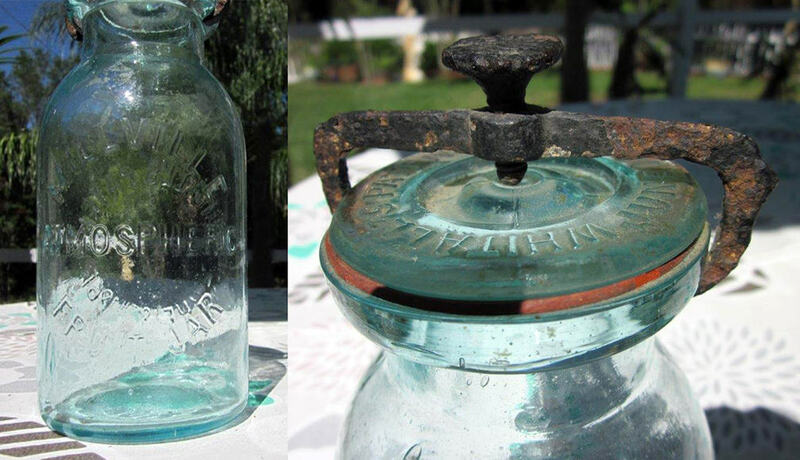 I was able to pick up an example bottle at the recent Baltimore Antique Bottle Show this past March. 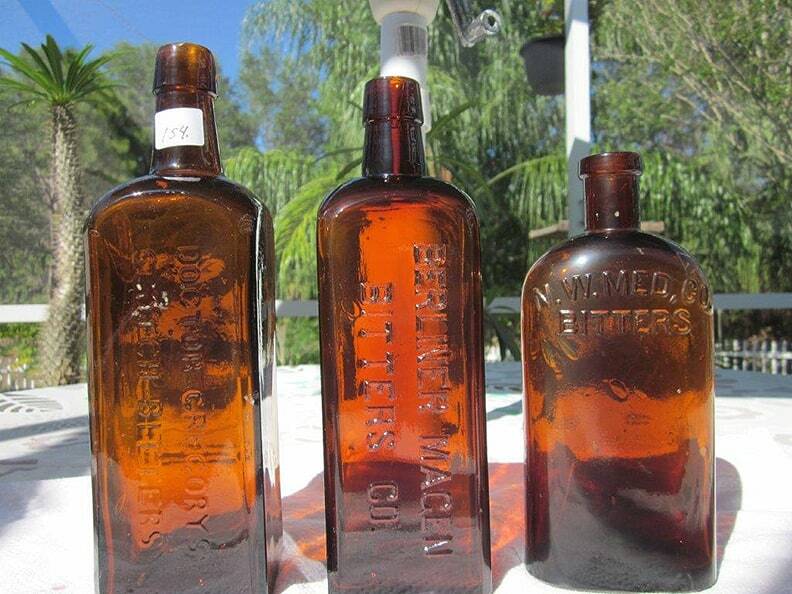 FRESHLY DUG & UNLISTED BITTERS! Thought you might like to see the attached photos…dug this yesterday in Texas and have never seen this variation of the Home Bitters bottles (St. Louis, Missouri) before…dug plenty of (broken) examples of the amber squares but not this one. Haven’t washed it up yet. Not a very exciting bottle but pretty early…was digging a barrel privy (which was sadly empty) and this showed up in a small trash pit along one outside wall of the privy. 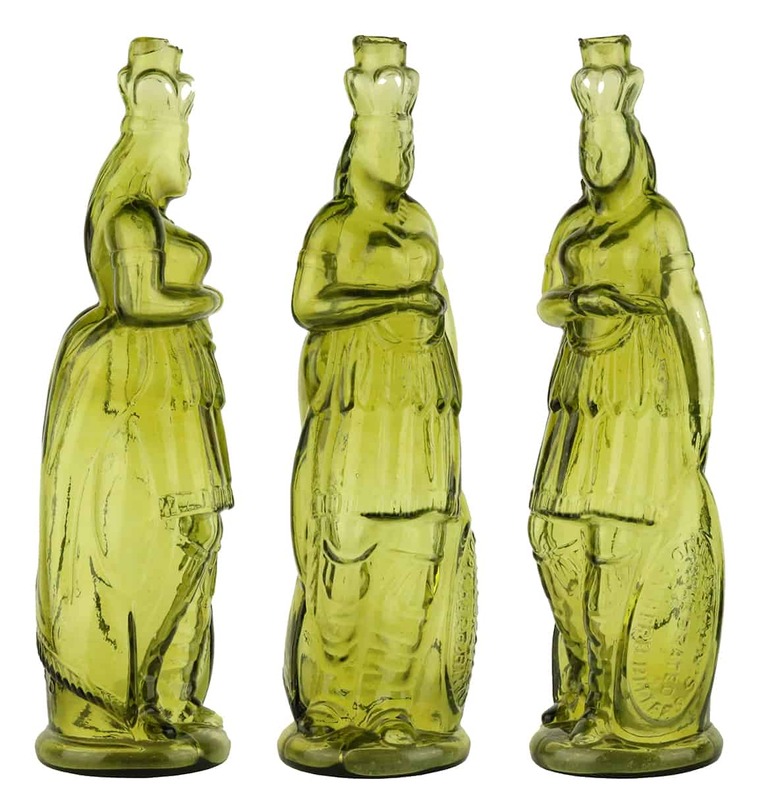 Read More: An unlisted Home Bitters? 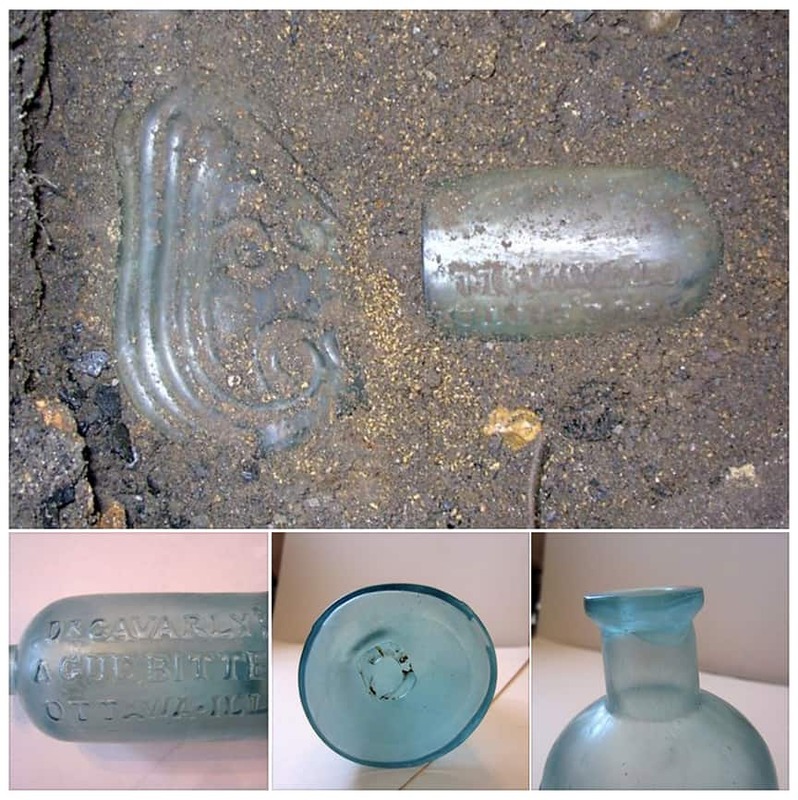 Sorry it has been so long since I have written a bottle digging article. We have been digging almost every weekend. We have a three person Tri-State digging crew, since we have one person from Ohio, one from West Virginia, and I’m here in Pennsylvania. 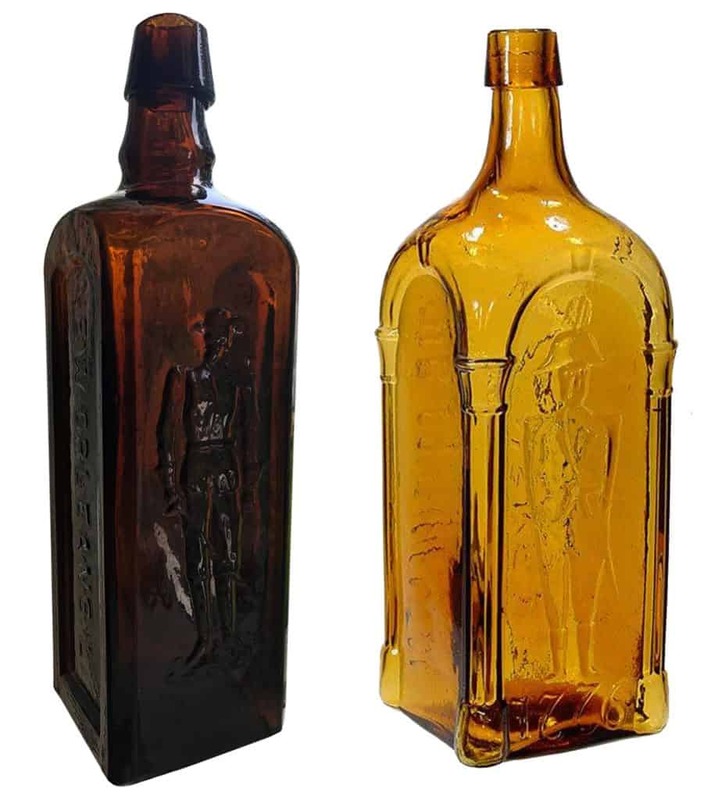 We have been hitting it hard the last year or so, with many cool and historic finds… Recently, we have dug some pretty great bottles and thought it may make a nice additional to the New Finds column. 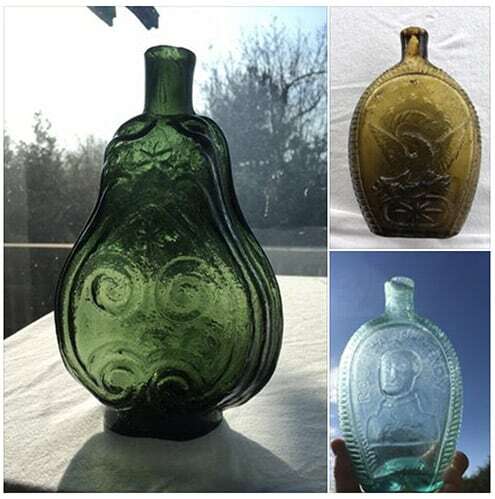 In about a 30-day period (31 to be exact), we dug a Rough and Ready Zachary Taylor Quart flask, then followed that up with a colored pint Louisville double eagle, then a couple weeks ago we dug a quart green scroll flask… all in excellent condition! 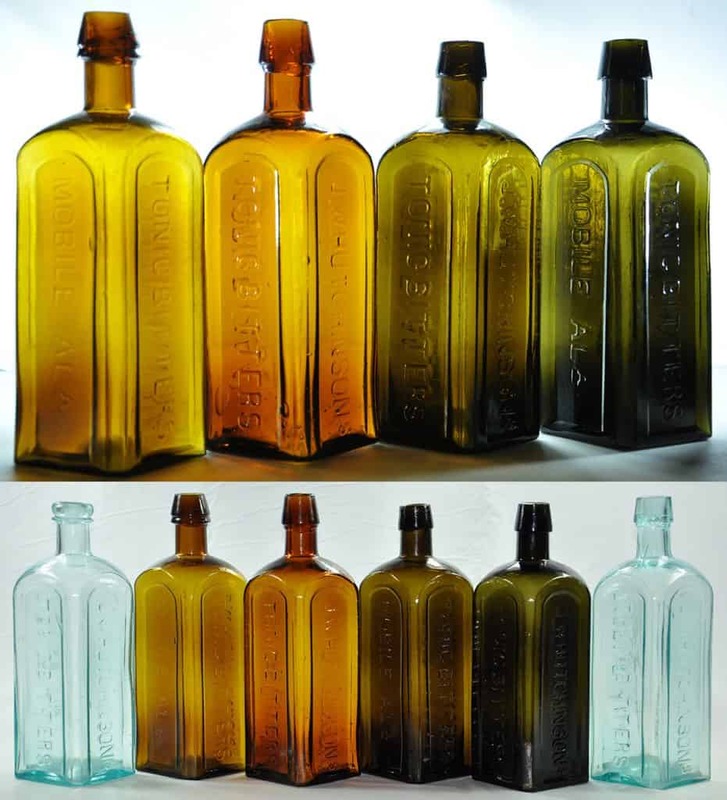 I can’t believe that the quart flasks were not damaged, as all these flasks were at the bottom of 8 to 10 footers. Lots of bad holes in between and seems like most of the holes we dig (when there is a good bottle) only have one good bottle… but we will take it! Hard work and perseverance pays off for sure! 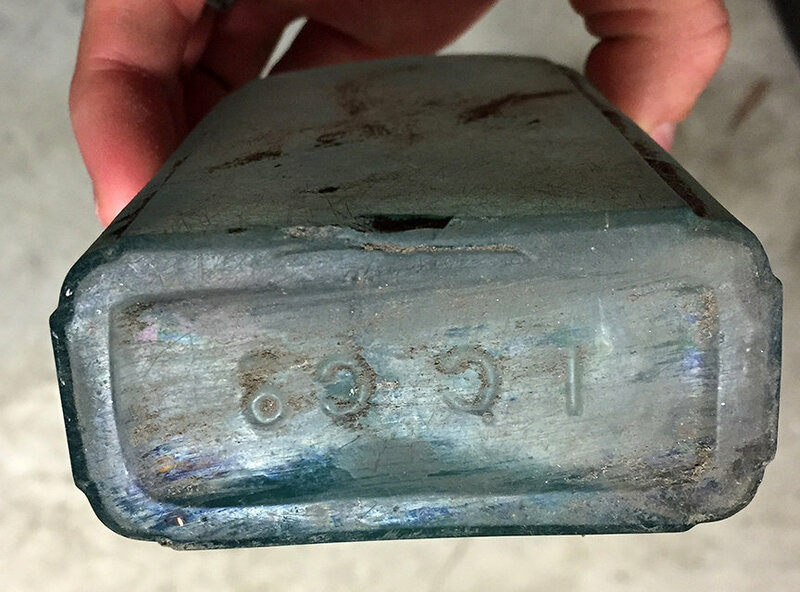 I’ve attached pictures of these finds… I’ll make sure to follow up soon with some bottle digging articles! 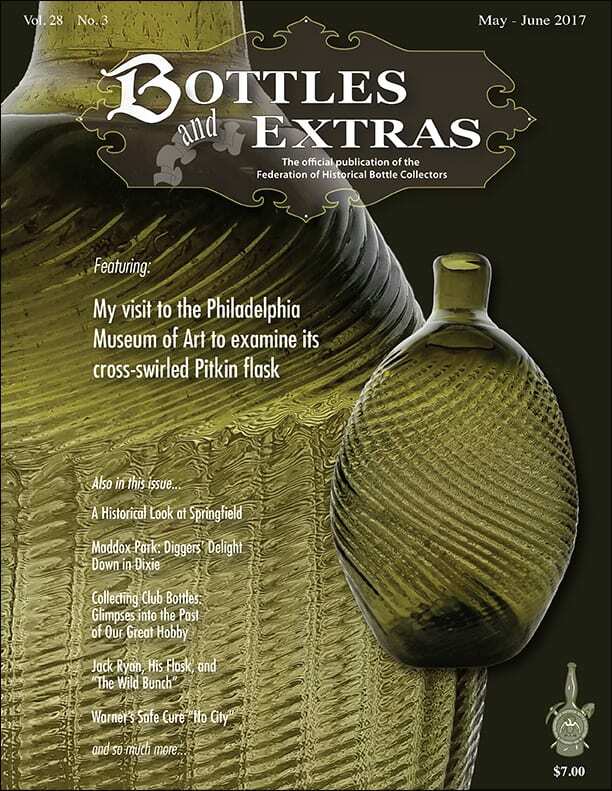 The May June 2017 issue of BOTTLES and EXTRAS is at the printer! Looks who has the feature article space “On the Cover of the Rolling Stone”! 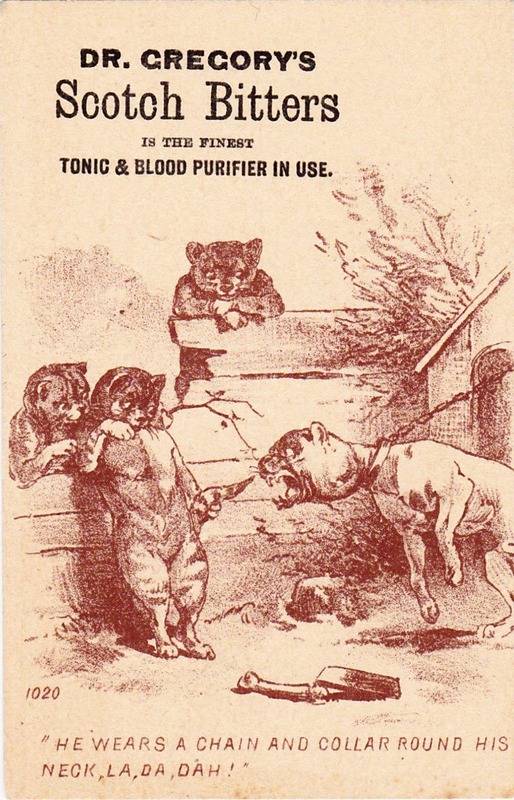 This entry was posted in Advice, Bitters, Daily Dose and tagged bitters, Daily, Dose, Galvanic, Home Bitters, news. Bookmark the permalink. Wow, Ferdinand, I’m very happy to learn that the recent absence of posts was due to a technical glitch, rather than you having abandoned the Peachridge Glass website. After several weeks of logging on but finding nothing posted, I was beginning to panic! There’s nothing quite like your site: so keep up the good work, and I’m looking forward to seeing you, Elizabeth, and many of my other bottle friends in Springfield!